LAS VEGAS and ATLANTA, Oct. 2, 2017 /PRNewswire/ -- Scientific Games Corporation (NASDAQ: SGMS) ("Scientific Games" or the "Company") today announced the appointment of Shawn Dennis as EVP & Chief Marketing Officer, reporting directly to Chief Executive Officer and President Kevin Sheehan. A 25-year veteran of entertainment, consumer products and sports marketing industries, Dennis previously served as Global Head of Brand and Franchise for DreamWorks Animation and Chief Marketing Officer for American Girl, Dell and the National Football League. As Chief Marketing Officer, Dennis will be responsible for elevating Scientific Games' global leadership brand position, promoting its powerful, integrated brands and increasing engagement with customers and players for the company's innovative content and technology in gaming, interactive and lottery. Dennis will use her brand franchise experience to capitalize on the incredibly exciting James Bond Experience across its portfolio of omni-channel products. Kevin Sheehan, Scientific Games Chief Executive Officer and President, said, "We are excited to welcome Shawn to the Scientific Gamesexecutive team. With her tremendous experience leading marketing for high profile companies and brands in the entertainment and technology sector, she is perfectly suited to lead our marketing efforts to enhance consumer and customer engagement, drive topline revenue growth and catapult the Company's next phase of growth." Dennis joins Scientific Games from DreamWorks Animation, where she served as the Global Head of Brand and Franchise Development. At DreamWorks she accelerated their industry leadership position by extending the life of iconic franchises through enhanced Consumer Products licensing, leveraging new customer engagement points such as DreamWorks Television, the worlds' largest YouTube tween and kids' channels. Prior to DreamWorks Animation, Dennis delivered unprecedented growth for Mattel's American Girl Company, where she oversaw marketing across all channels, product development and book/magazine publishing. 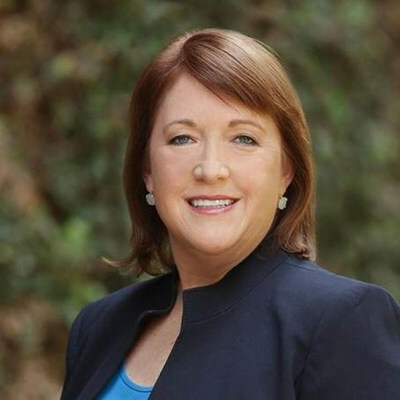 A consumer products industry veteran, Dennis also led global B2B marketing, brand management and marketing communications for Dell Computers, and served as Chief Marketing Officer for the National Football League where she set the strategic direction for the league's year-round marketing and consumer products efforts. Dennis also held senior positions leading co-brand card marketing for MasterCard International and partnership marketing for Universal Studios. In addition to her professional experience, Dennis serves on the Board of Directors of GoldieBlox, an innovative line of toys and content that encourages girls' engineering and critical thinking, the University of Wisconsin School of Business Center for Brand and Product Management and leads a national Brain Health task force for the American Heart Association.